RCS Electrical Service is your Fort Lauderdale electrician. From a small electric repair, to complicated control system design, or solar panel installation, generator repair, electric service upgrade, boat dock and boat lift wiring, or electric motor repair and installation, contact us for all your electrical needs. Your Fort Lauderdale fl electrician, RCS Electrical Services, is also experienced with, swimming pool lighting and wiring, electrical service repair, generator installation, and many other electrical services. Your Fort Lauderdale electrician is a kitchen rewiring specialist. Our kitchen lighting packages are not only beautiful, but functional. We place emphasis on your work surfaces, around the counter top, and focus our recessed lighting there, so that you have plenty of illumination right there, where you need it most. And if you want something fancier, we can give your under counter space, soft gentle lighting, which can give you more illumination when you are preparing those special meals. It also can be dimmed later, for those after meal quiet moments, when you can do without the glare. If you are building a new home, and need to hire an electrician to do your wiring, contact us. We have many years of experience wiring new homes. We understand local electrical codes, and are current on the latest and safest practices when it comes to new residential wiring. Click here to request new residential home wiring. Don't worry when your pool has gone dark. We are here to help. When the time come that you need swimming pool light installation or repair, just let us know. We are experts with the installation of swimming pool lights, or the repair of swimming pool light fixtures. Contact us for swimming pool light installation. If you are a builder doing commercial construction in Fort Lauderdale or Broward county, and need a commercial Fort Lauderdale electrician, contac us. We have the expertise and the technical knowledge to help you. Industrial Electrician in Fort Lauderdale Florida Offers Industrial Wiring, Industrial Controls Design and Installation, Automation System Design, And PLC Programming. If you manage or operate an industrial or manufacturing facility, your Fort Myers electrician can also help you with those projects. We are able to provide consultation and installation services in a variety of industrial wiring situations, and we have extensive experience with industrial control systems. RCS Electrical Services has expertise in the area of electric motor control wiring, installation and repair. We can also , DC and AC drives, and electric motor installation and repair. Contact us whenever you need technical assistance in this area. These machines are completely automatic, watching the power line status every second of the day and night. If they sense that the power lines have failed, they start and within seconds, your property is operating as if you were still connected to the grid. It is a wonderful experience to have. When disasters strike, you can feel good that you have planned ahead, and protected those things that matter most to you. 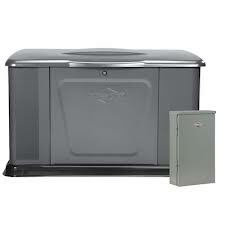 Your Fort Lauderdale electrician is also an expert generator technician. 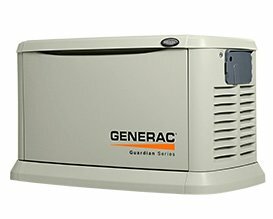 When it comes to generator installation, generator service, generator maintenance, or generator repair, contact your Fort Lauderdale fl generator technician for all your generator needs. 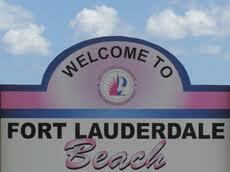 Your electrician in Fort Lauderdale Florida, also serves the entire area of Broward County. North Lauderdale, Oakland Park, Parkland, Pembroke Park, Pembroke Pines, Plantation, Pompano Beach, Port Everglades, Sea Ranch Lakes, Southwest Ranches, Sunrise, Tamarac, West Park, Weston, and Wilton Manors.